In the heart of the Yurok Ancestral Lands, we worked to build the capacity of a local cultural burning group. 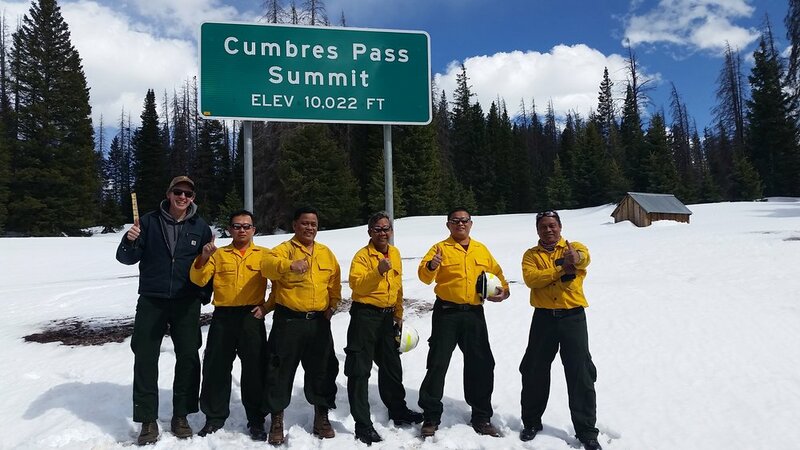 From the headquarters of Sinarmas Forestry in Indonesia, to rural Chama, New Mexico, we led our international participants through a rigorous 14 days of burning while providing training on effective implementation of the Incident Command System (ICS). On a remote ranch along the Colorado-New Mexico border, we implemented burns to promote elk and deer habitat, and to protect resources from intense summer wildfires. Completing the State Response Area Fire Prevention Fund grant project, we combined efforts to treat an 86.5 acre portion of Yurok Ancestral Territory with prescribed fire. The burn reduced fuels across the high-risk area between homes and Highway 169, and helped stimulate growth of cultural resources while training local and visiting fire workers.